DePuy hip implant devices have caused serious injuries to tens of thousands of patients across America. The metal hip implant devices have literally poisoned patients as they deteriorated and fell apart inside of patients bodies. Injured patients have been forced to undergo revision surgeries to correct the defective implants. Goldberg Weisman Cairo defective product lawyers are helping patients who have been harmed by Johnson & Johnsons devices assess their legal options. If you or someone you know has a DePuy ASR hip implant, contact our attorneys immediately. The long-term health complications of metallosis are concerning. Repeat surgeries to fix a defectively designed implant are unacceptable. That DePuy waited years to initiate a global recall of their dangerous hip implant devices is even more unacceptable. A successful DePuy hip implant lawsuit will help patients recover financial compensation for emotional injuries, medical expenses, lost wages and other damages. To discuss whether your defective hip implant qualifies for a personal injury lawsuit, schedule a free consultation with our experienced DePuy implant injury lawyers. More than 90,000 patients worldwide have had DePuy ASR hip implant devices surgically inserted into their bodies. The complications and injuries associated with DePuy hip implant devices may be permanent in some cases. When the device fails and causes pain or injuries to the patient, a follow-up revision surgery is often required. Patients who experience the following symptoms should consult with an attorney immediately. Metallosis is the medical condition caused by deteriorating metal-on-metal hip implants, which leech metal particles into the body and tissue causing bone damage and tissue death. 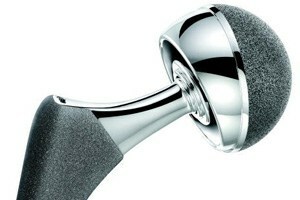 DePuys hip implant symptoms have been shown to cause dangerous metal poisoning and bone deterioration. Patients who experience any of the listed symptoms of hip implant failure ought to consult with a medical provider immediately. In August of 2010, DePuy announced that it would be recalling both the ASR Hip Resurfacing System and the DePuy ASR XL Acetabular System. The recall was global and affected more than 90,000 patients. Patients reported extreme pain and experienced deteriorating metal parts that caused a dangerous condition called metallosis. After years of complaints, the company finally issued a voluntary recall. Experts estimate that one in eight patients will need to undergo revision surgery within five years. All patients who have been implanted with these medical devices and need revision surgery may be entitled to financial compensation. Johnson & Johnson is contacting patients and offering free revision surgeries that require patients to waive their right to file a lawsuit in case future complications arise. Pharmaceutical companies who are worried that their defective products may lead to a flood of lawsuits often try to ensure that many patients waive their rights to a trial. If you receive recall information from Johnson & Johnson or DePuy, do not sign any documents without first consulting with an experienced attorney.